Lenovo has some very interesting ideas that are packed into this convertible notebook. The biggest change is the removal of the beautiful watchband hinge we’d admired on previous generations, but although it was beautiful and functional, Lenovo has instead opted to replace it with a Dolby Atomos sound bar, which can rotate with the display to provide 3D spatial sound no matter which way the display is pointing. Audio on Yoga-style laptops has been kind of a mixed bag. For one thing, there’s very little room inside a modern laptop to provide space for speakers to start with, and for another, they tend to fire in the wrong direction, which is an issue that convertibles like the Yoga have to deal with more than typical laptops. The rotating sound bar not only provides space that would otherwise be unused, but it also keeps the speakers pointed in a consistent direction to the user. Much like the original Yoga hinge, expect other OEMs to imitate this idea soon, because it is really a smart solution. The rest of the Yoga C930 is no slouch either. This isn’t a one-trick pony. It’s also a premium Ultrabook, offering a great design coupled with powerful internals, all in a package that is thin, and weighs just 1.36 kg / 3.0 lbs. 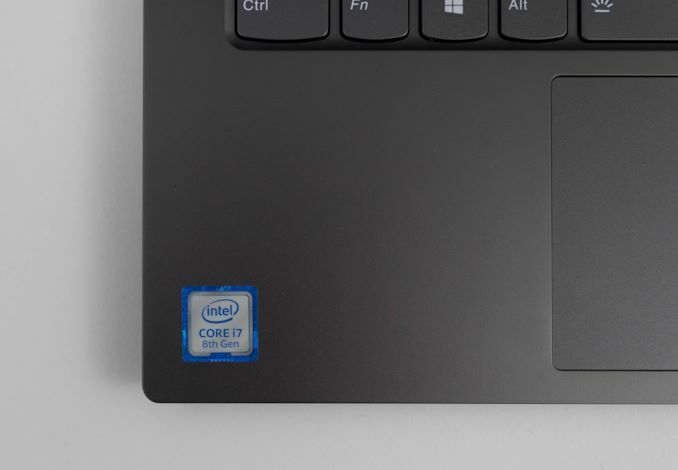 It also offers thin display bezels on the sides, allowing this 14-inch laptop to still be fairly compact, and the top bezel is just large enough to house the Webcam, which also has a manual shutter. Display options are 1920x1080 IPS, or 3840x2160 IPS. Lenovo outfits the Yoga C930 with Kaby Lake Refresh processors, in either the Core i5-8250U, or the Core i7-8550U. Our review unit is the Core i7. Memory options are 8, 12, or 16 GB of DDR4-2400, which is somewhat unusual in an Ultrabook form factor, since most manufactures opt for LPDDR3 still. With Lenovo opting for DDR4, it’s a bit strange they haven’t used that as an opportunity to provide 32 GB of RAM as an option. Where they do provide plenty of options though is the NVMe storage, where you can get up to 2 TB of PCIe NAND. Lenovo offers not one but two Thunderbolt 3 ports over Type-C on the left side, along with a USB 3.0 port as well. 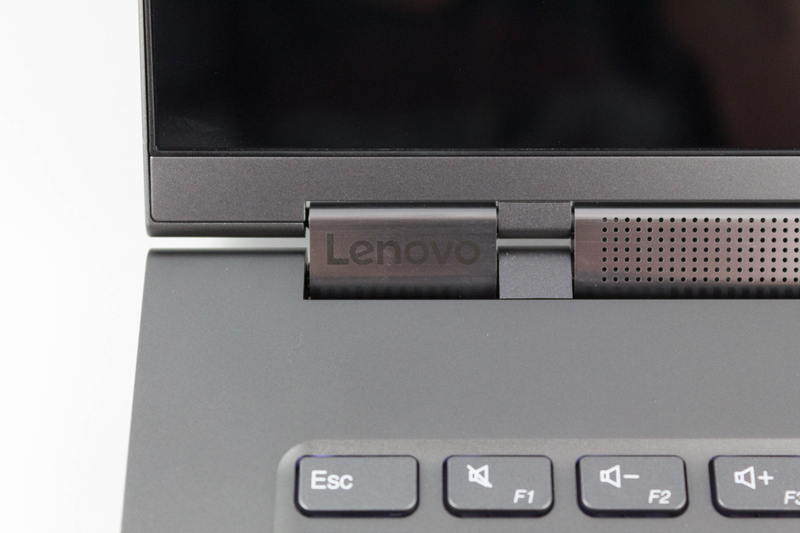 The Type-C is used not only for expansion, but also as the charging port, which makes the Lenovo very easy to power up from a variety of sources. Lenovo also offers an active pen, which is housed inside the laptop, and can be accessed on the rear of the device. It’s great for quick note taking, and having it inside the laptop protects it, charges it, and makes sure it’s always available. In addition, Lenovo offers a good-sized battery at 60 Wh, in addition to the Intel Wireless-AC 9260 wireless card.